Before finals week, brush up on the hours the services are open at the Mizzou Libraries. Even though Ellis Library will be open 24/7, some services are not. If you need help, the Research Help & Information Desk in Ellis is open Monday – Thursday from 9 am – 9 pm, Friday from 9 am – 5 pm, Saturday 10 am – 4 pm, and Sunday 12 am – 9 pm. If you can’t make it into the library, you can always chat with a librarian 24/5. Saturday hours are 10 am-10 pm, and then chat services start again Sunday morning at 10 am. If you need to check out materials, the Circulation Desk is open Monday – Thursday 7:30 am – midnight, Friday 7:30 am – 8:00 pm, Saturday 9:00 am – 8:00 pm, and Sunday 12:00 pm – midnight. However, if you want to check out books, there is a self-checkout machine available at all times. If you need the MU Print and Mail Center for projects or resumes, check out their hours. The specialized libraries on campus are not open 24/7, so make sure to check their hours. 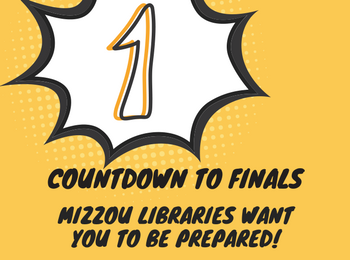 All library hours are available on the Mizzou Libraries homepage.